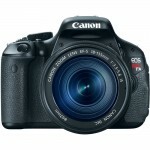 For photographers who look to the sky, Canon is proud to offer the new Canon EOS 60Da 18.0 MP Digital SLR Camera. 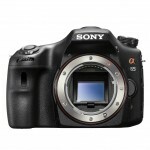 Following in the popularity of the EOS 20Da, the EOS 60Da is tailor made just for astrophotography. It’s designed to ensure accurate depictions of the reddish hues when photographing diffuse nebulae in the nighttime sky with the increased sensitivity of hydrogen-alpha (Hα) lines (656nm). 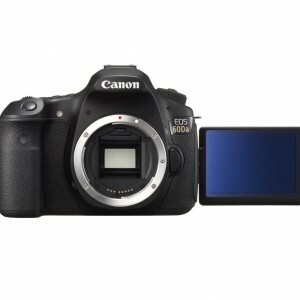 With the same advanced features of the EOS 60D DSLR, including a Vari-angle 3.0-inch Clear View LCD monitor for Live View compositions, an amazing 18.0 Megapixel CMOS sensor, an ISO range of 100–6400 (expandable to 12800) and more, the EOS 60Da is both capable and simple. Perfect for long exposures while gazing up into the sky, there’s nothing like the EOS 60Da. Increased IR sensitivity for astrophotography allowing crisp, clear images of reddish, diffuse nebulae. 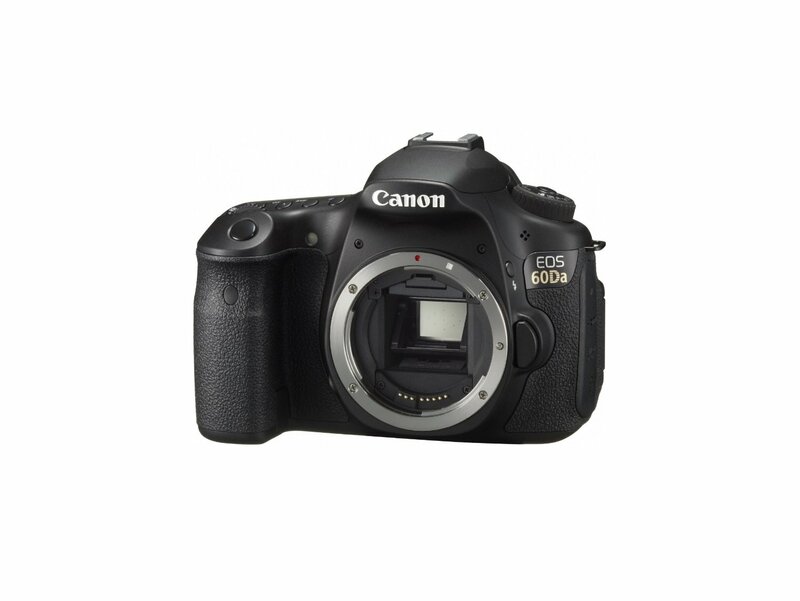 To capture the full range of colors given off by diffuse nebulae in the sky, the Canon EOS 60Da 18.0 MP Digital SLR Camera features a specially tailored infrared blocking filter that allows the light normally blocked by a typical DSLR’s filter to be captured by the camera’s sensor. This means that the reddish hydrogen-alpha (Hα) light (656nm) gasses unseen by a normal DSLR are captured brightly and clearly on the EOS 60Da. 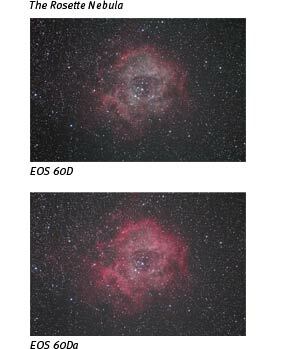 With its modified infrared blocking filter, the EOS 60Da captures approximately 3x the hydrogen-alpha (Hα) rays than the EOS 60D, resulting in astrophotography that is sharper, clearer and more accurate in the depiction of naturally occurring reddish hues of diffuse nebulae. The EOS 60Da features an 18.0 Megapixel APS-C size CMOS sensor that captures such a high level of resolution it’s easy to crop images for enlargement without concern of losing detail. 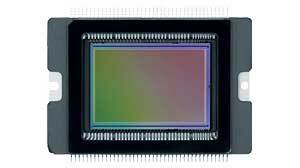 A major factor in reducing noise, the CMOS sensor assures that images shot at highest sensitivity will be remarkably smooth even with the long exposures associated with astrophotography. With a broad range of ISO settings, expandable up to ISO 12800 with Custom Functions, the EOS 60Da can capture fine details with low noise, which is exceptionally ideal for the challenging conditions of astrophotography. 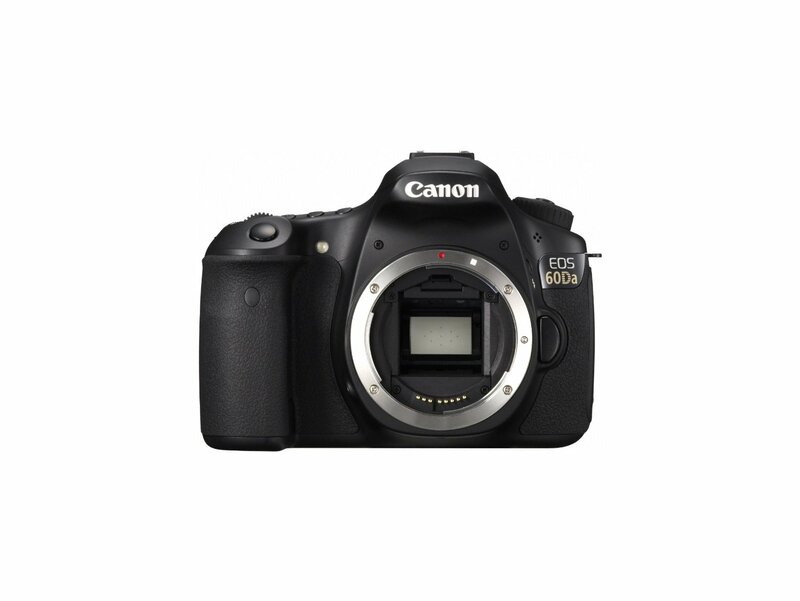 The DIGIC 4 Image Processor – the same found on the original Canon EOS 60D 18-135mm – ensures that images are captured, processed and saved with remarkable speed. 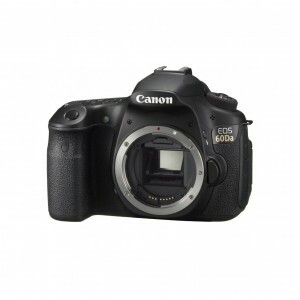 The Canon EOS 60Da 18.0 MP Digital SLR Camera offers multiple aspect ratio shooting, in-camera RAW image processing, creative filters, image resizing and provides S2 and S3 image-recording quality thanks to the power of the DIGIC 4 Image Processor. With dazzling results, the DIGIC 4 Image Processor also works to capture and process data of images shot at 18.0 Megapixels at 5.3 fps, as well as 14-bit signal processing for excellent image gradation, no matter the exposure. Vari-angle 3.0-inch Clear View LCD and Live View. 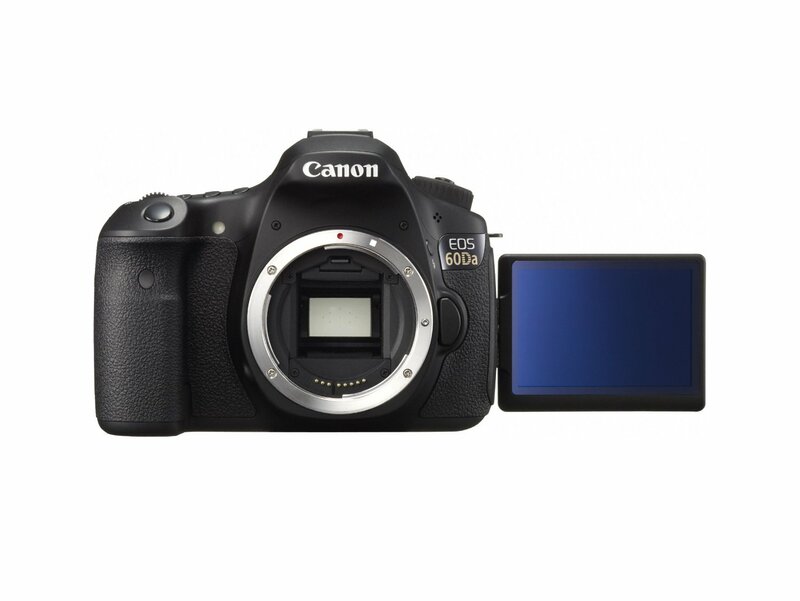 The EOS 60Da features a bright, high resolution, flip-out Vari-angle 3.0-inch Clear View LCD monitor for shooting at a variety of angles. Convenient in all situations, the monitor’s flexibility lends itself to tripod-mounted shooting towards the sky, offering a comfortable alternative to through-the-lens composition. With 1,040,000 dots for spectacular detail, the advanced, smudge-resistant monitor includes high transparency materials plus anti-reflective and water-repellant coatings to provide clear and bright viewing. Superb for reviewing, editing and deleting photos or composing new images in Live View function, the Vari-angle Clear View LCD monitor is also the perfect means for accessing camera settings like ISO, metering modes, AF Point selection, and the horizontal Electronic Level. 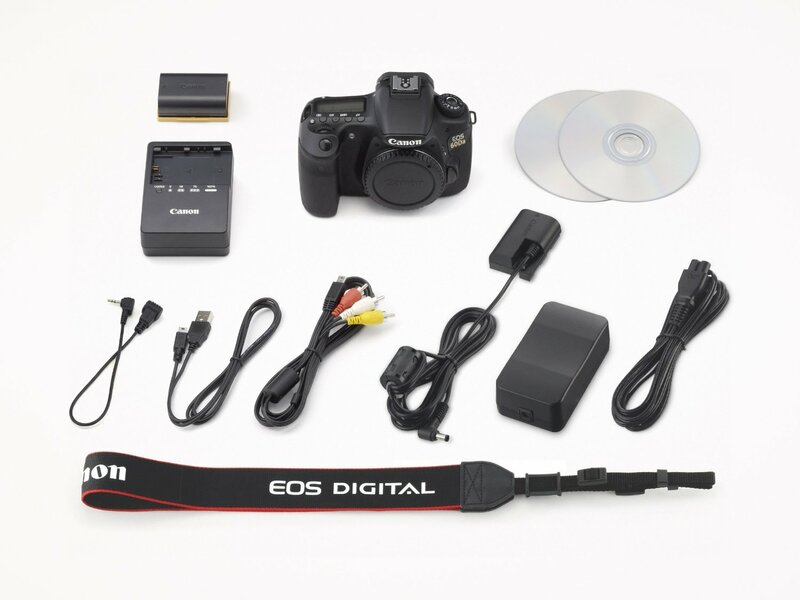 The Canon EOS 60Da 18.0 MP Digital SLR Camera comes bundled with the new Remote Controller Adapter RA-E3 for total compatibility with Canon’s remote switch for EOS cameras with the N3-type socket, the Timer Remote Controller TC-80N3. This remote switch has a self-timer, interval timer, long exposure timer and exposure-count setting feature. The timer can be set from 1 second to 99 hours. A dial enables numerous settings to be accessed one-handed. It has an illuminated LCD panel and a 2.6ft/80cm cord. Perfect for nighttime setups, and for shooting at the sky, the Timer Remote Controller TC-80N3 is the perfect complement to the EOS 60Da’s power. The EOS 60Da is compatible with all Canon lenses in the EF and EF-S lineup, ranging from ultra-wide angle to super telephoto lenses. Canon lenses employ advanced optical expertise and micron-precision engineering to deliver unprecedented performance in all facets of the photographic process. Special optical technologies, such as aspherical, ultra-low dispersion, or fluorite elements are featured in the universally acclaimed L-series lenses. 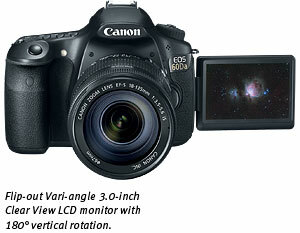 And Canon’s Optical Image Stabilizer technology is featured in select lenses to minimize the effect of camera shake. Additionally, the lenses used for astrophotography are compatible with every other EOS SLR; Canon wide-angle, macro, super-telephoto, tilt-shift and fisheye lenses provide a wealth of focal lengths, depth-of-field and other creative shooting options. Canon offers a host of accessories to help photographers make the most of the EOS 60Da’s powerful features. 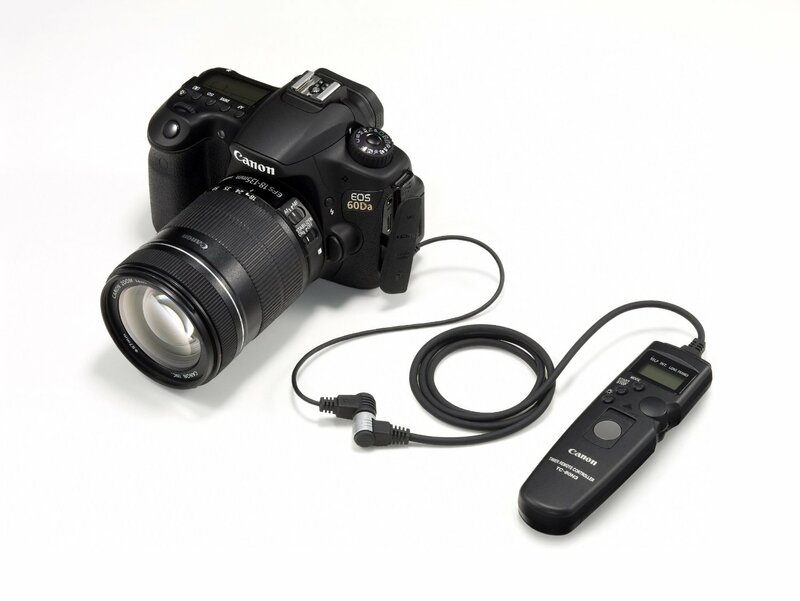 For long exposures using Live View, the AC Adapter Kit ACK-E6 provides a constant source of AC power to the camera. 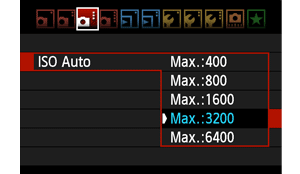 For composing through the viewfinder, Angle Finder C enables an adjustable viewing angle while providing a 2.5x magnification for critical focusing with a full screen image that also shows exposure data. 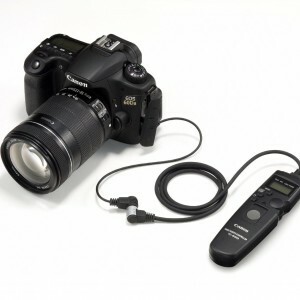 Battery Grip BG-E9 enables the use of AA batteries or two LP-E6 batteries and adds the convenience of access to all the cameras features in both portrait and landscape orientation. 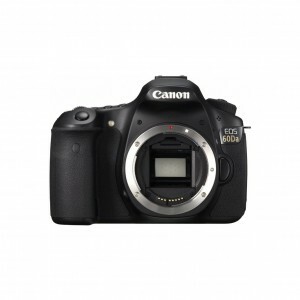 Canon EOS 60DA The first astrophotography-specialized DSLR since the 2004-vintage Canon EOS 20Da, the 60Da shares most of the features of the 60D, but with one key differences that will put a smile on any stargazer’s face. 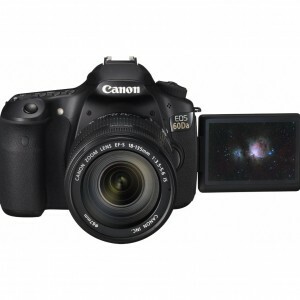 The Canon EOS 60Da features increased IR sensitivity for astrophotography (IR cut filter is modified to achieve a hydrogen-alpha (Ha) light (656nm) transparency approximately three times higher than the EOS 60D and other digital cameras) allowing crisp, clear images of reddish, diffuse nebulae. To capture the full range of colors given off by diffuse nebulae in the sky, the EOS 60Da features a specially tailored infrared blocking filter that allows the light normally blocked by a typical DSLR’s filter to be captured by the camera’s sensor. This means that the reddish hydrogen-alpha (Ha) light (656nm) gasses unseen by a normal DSLR are captured brightly and clearly on the EOS 60Da. 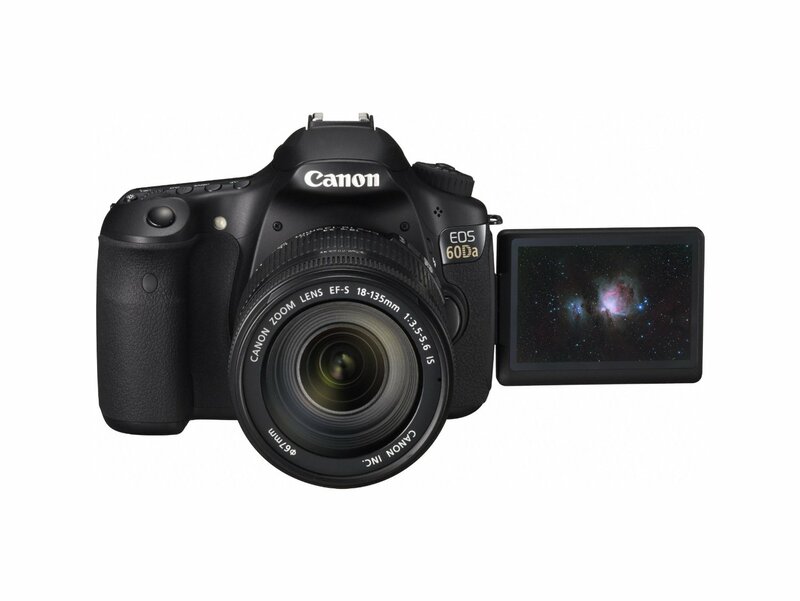 With its modified infrared blocking filter, the Canon EOS 60Da 18.0 MP Digital SLR Camera captures approximately 3x the hydrogen-alpha (Ha) rays than the Canon EOS 60D 18-135mm, resulting in astrophotography that is sharper, clearer and more accurate. 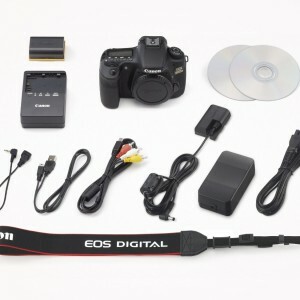 Along with the the Canon EOS 60Da a Remote Controller Adapter RA-E3, which allows compatibility with the optional Timer Remote Controller TC-80N3 for accurate control of long exposures and automatic shooting of repetitive shots with the interval timer is being bundled with the camera.